The NT-HUM advanced remote humidity and temperature sensor can be used for INDOOR humidity or humidity/temperature sensing, using the on-board temperature sensor. The NT-HUM works only with the UP32-WIFI and UP32-IP thermostats. 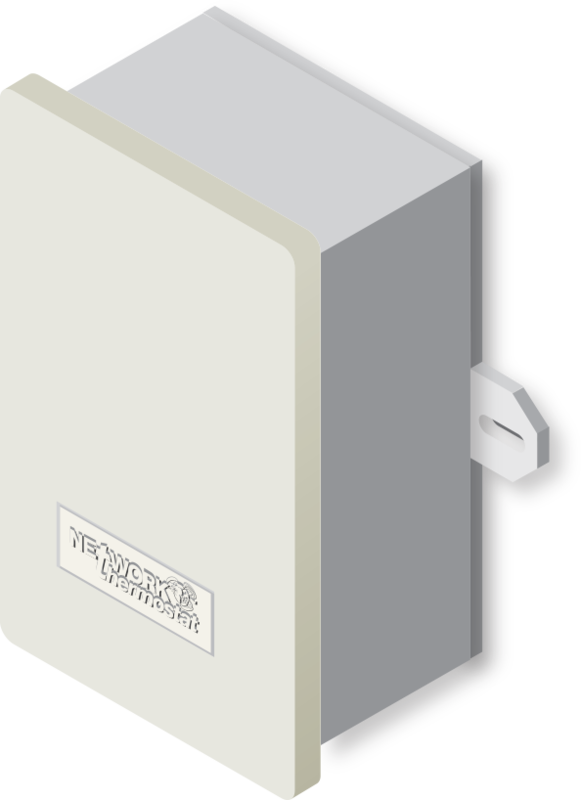 When being used as the combination humidity/temperature sensor, the temperaure sensor uses one of the six (6) available NT-TEMP sensor locations on the bus. Both Temperature and Humidity Sensors Built-In. Mounts on vertical single-gang box. Very thin. Only 3/8" sensor cover protrudes from wall surface. No addressing needed. Simple DIP switch setting for features. All input/output/power on easy access screw terminals.